UFCU employees get their hands dirty for the community. 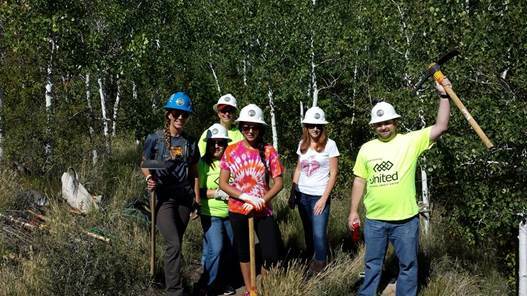 Nearly a dozen employees and volunteers from the $1.6 billion United Federal Credit Union and the Northern Nevada Heart Walk used rakes and shovels to clear rocks, brush and debris from Thomas Creek Trail on Friday, Aug. 15. The effort widened the trail in Galena, Nev., and improved hiking and biking access.